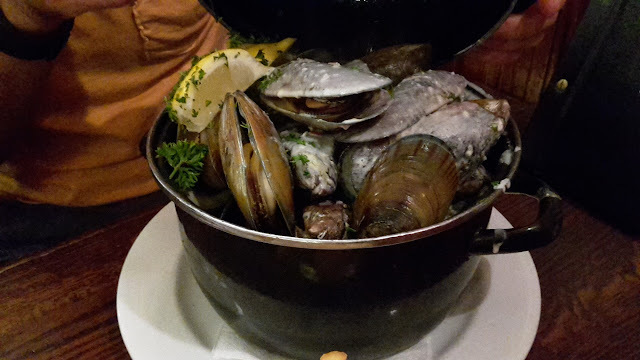 Half price mussels with a drink on Mussel Mania Mondays is probably one of the favourite things about Auckland for our Breton friend N. It's become a ritual for him to come here for at least the first and the last weeks of his regular Auckland stays. I guess they remind him of home, though the huge meaty NZ mussels are nothing like the tiny black ones where he is from. Poor A who does not realise the deliciousness of seafood had to make do with a burger while N and I attacked our pots of mussels. Mussels with a wide selection of Belgian beers... miam !